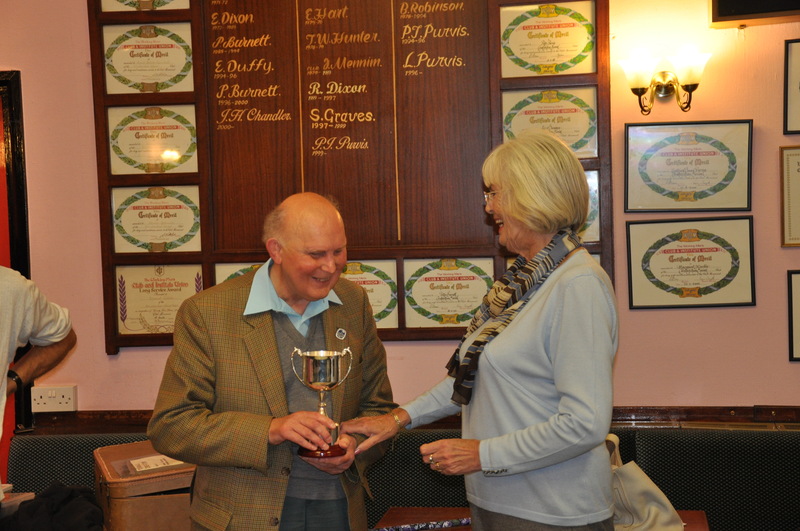 When Jeremy Handley died earlier this year, Tynedale Chess Club lost its oldest member and one of its best players. Jeremy had been a strong player all his life and, prior to moving to Corbridge, had been a member of Morpeth Chess Club for many years. 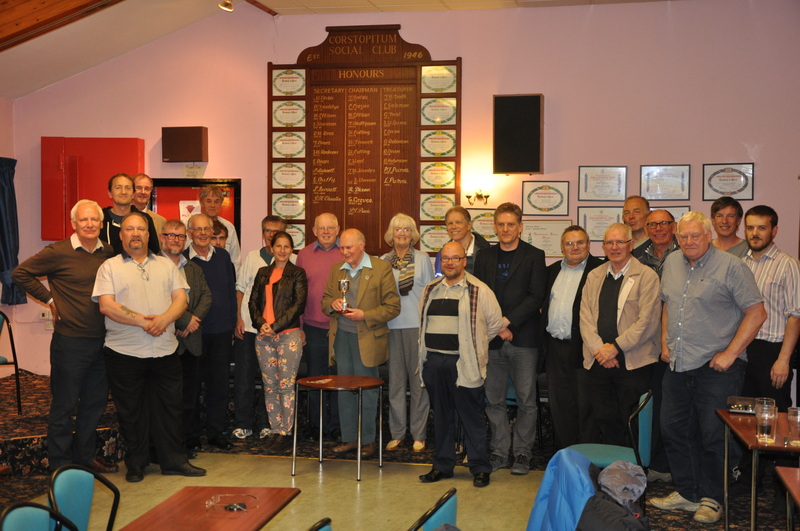 So it was entirely fitting that the two clubs should get together to establish the Jeremy Handley Memorial Trophy, to be competed for annually in a match between Tynedale and Morpeth involving as many players as each club could muster. The last game to finish was on board 5, so the outcome of the match hinged on this game, which went to the wire, before Les prevailed. 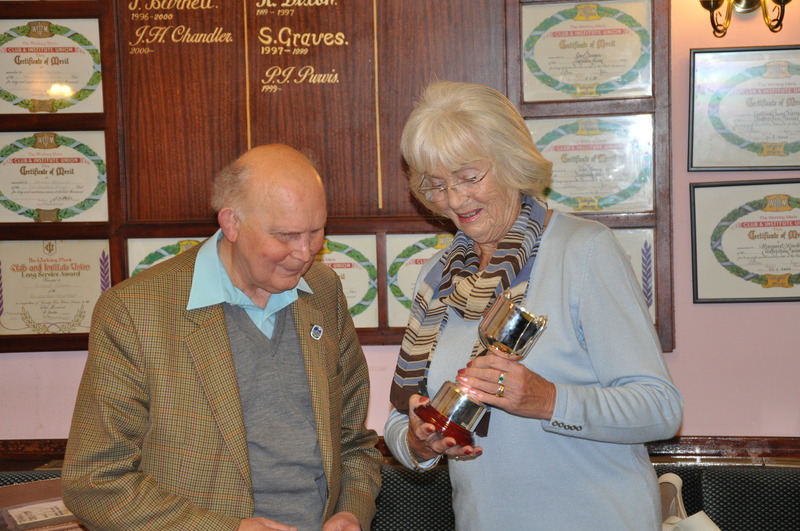 There was a special poignancy in the fact that Jeremy’s partner, Bea, was there to present the trophy to Morpeth’s captain for the night, Les Whittle, who had been a friend of Jeremy’s for a great many years. For all present, it was a fitting way to honour Jeremy’s memory and all can look forward to taking part in the second edition of this event, to be held in Morpeth in September 2017.